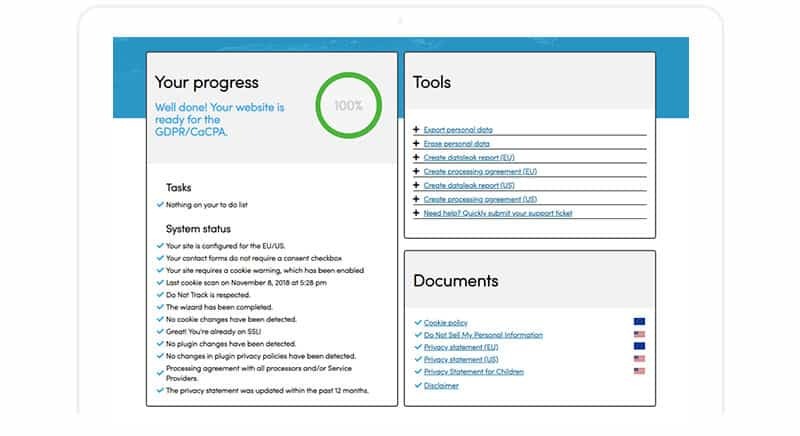 Setting up the documents is easy: When downloading our plugin you will receive your personal dashboard in which you can set up and monitor your legal documents and more. Check out Legal Documents for the US. Generate your privacy statement easily with our wizard, specify it for your organization. And change it easily when we scan for updates. Or integrate it in Free with your current Privacy Statement. Tell your website visitors about your website and how content is provided and protected. As a bonus! Configure as many processing agreements for third parties as you need to stay in control of your data. 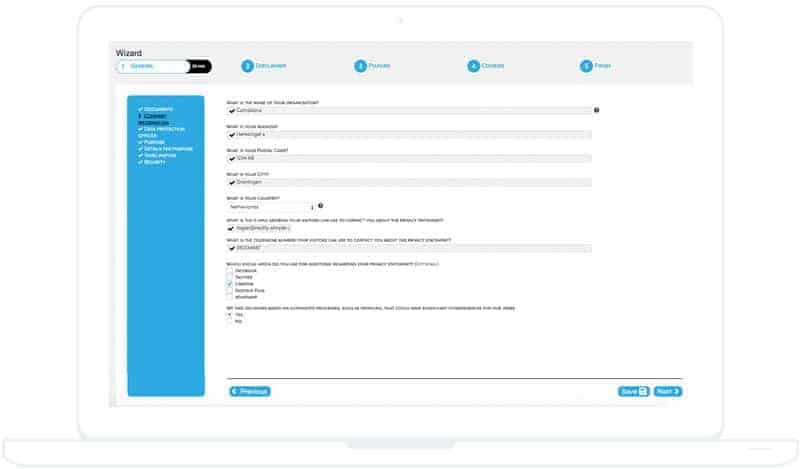 Matomo, Analytics, Tag Manager and more integrations available. Set-up your cookie notification in any style you want and place it anywhere! With either the WYSIWYG editor or the Custom CSS editor. Why show a cookie notification if you don’t need to? With GEO location enabled, visitors in countries without strict cookie laws don’t get a notification. You decide! Placeholders for video iFrames, with an opt-in before loading the video service. Working on Social Media placeholders as we speak! It’s not just a notification. The plugin blocks any non-functional scripts or cookies, placed in our ‘Script Center’. Only after the visitors’ explicit consent, the cookies and scripts will work. 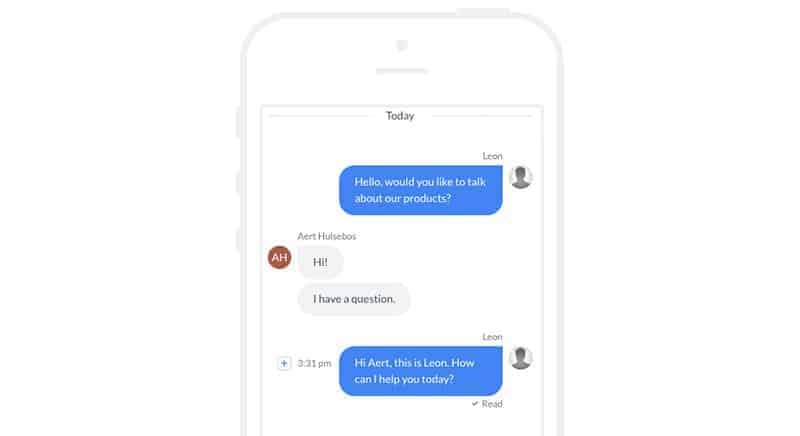 Get insights in all the different consents and preferences of your customers. Use the statistics dashboard to make your Cookie Notification as user-friendly as possible, while improving your conversion rate on consents given. A/B testing is a valuable tool to improve your services. For Cookie Notifications it is no different! Keep your customers happy with a non-intrusive notification, but attractive enough to get consent. Try as many as you want, in any lay-out or color, categories or a simple banner. Whatever your customers need. Most organizations in the US are subject to the California Consumer Privacy Act (CaCPA) and will need to provide a clear and conspicuous link titled “Do Not Sell My Personal Information” on their homepage. Our plugin will provide the DNSMPI Page and Opt-out request form and dashboard. Specific Cookie Notice for US. Inform your visitors clearly with an option to opt-out of sharing their data. Combine US Privacy Laws with the European Privacy Laws (GDPR) or vice versa to cover all bases when accepting visitors from both sides of the Atlantic Ocean. A Privacy Statement drafted for CCPA and other US Privacy laws, generated by you through our wizard to match your specific services & products And a Children’s Privacy Statement directed at the Children’s Online Privacy Protection Act, protecting personal data from children under 13. As a bonus! 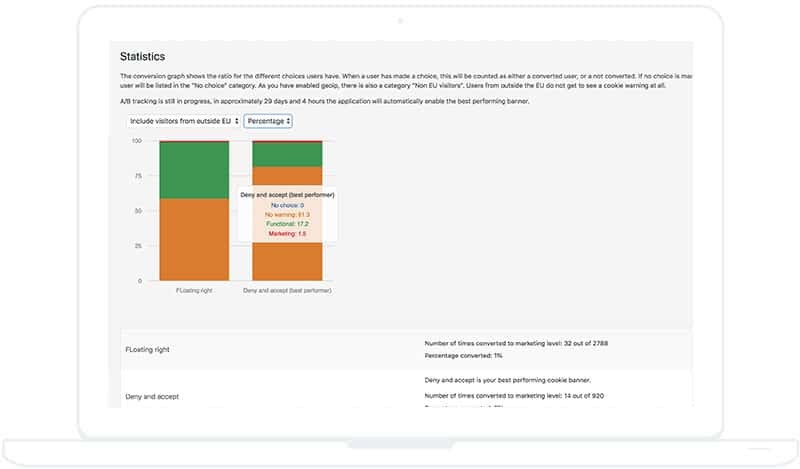 Configure as many Service provider agreements for third parties as you need to stay in control of your data. Our GDPR Data Leak Inventory is now also available for US Security Data Breaches. Your website is constantly susceptible to changes. Changes in plugins, scripts but also in cookies. 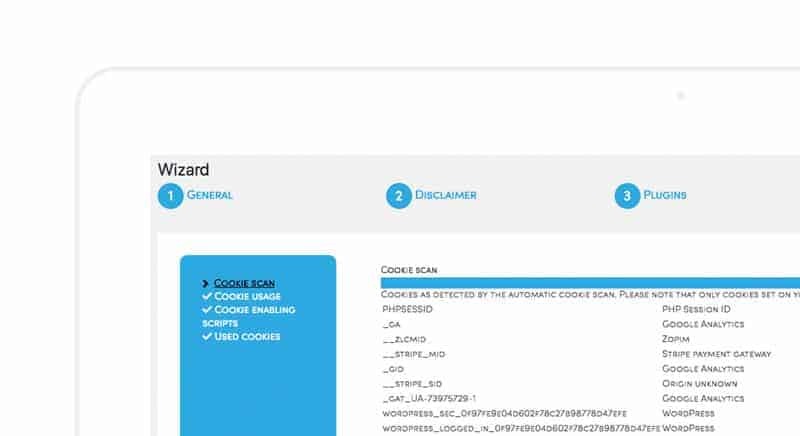 The website scan will trace installed cookies and scripts, during the wizard, and will automatically provide the necessary descriptions if provided. Did you make changes, by installing or deleting a plugin? Or adding a cookie or script. The plugin will notify you when action is needed. 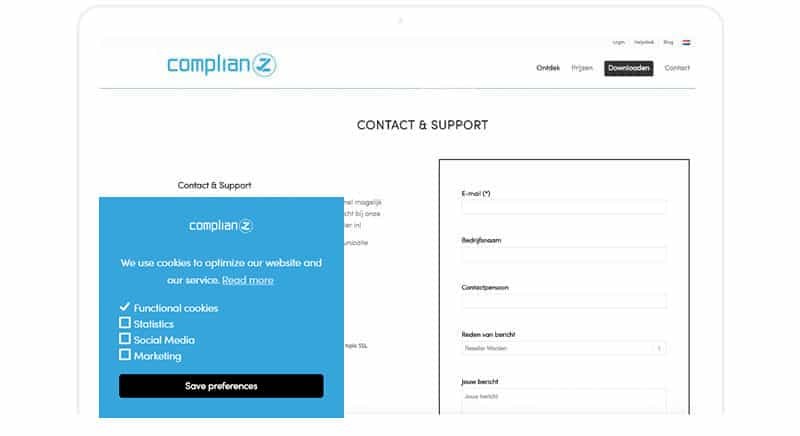 After changes which might affect your website’s compliance your cookie notification will appear automatically. We store and update our cookie database to provide you with the most up-to-date descriptions. Your USB was lost, someone hacked your database or even worse, someone has broken into your home and stole everything regarding data. What to do? Not sure if an incident has occurred or if you need to alert the authorities? 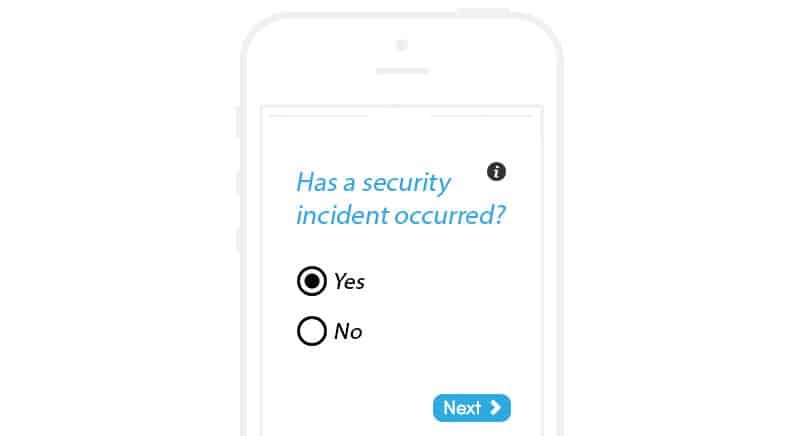 Use our Data Breach Inventory to find out! If a significant data breach has occurred, use your configured document to alert those involved. Our plugin is suitable for all WordPress installations. Including Gutenberg Blocks. 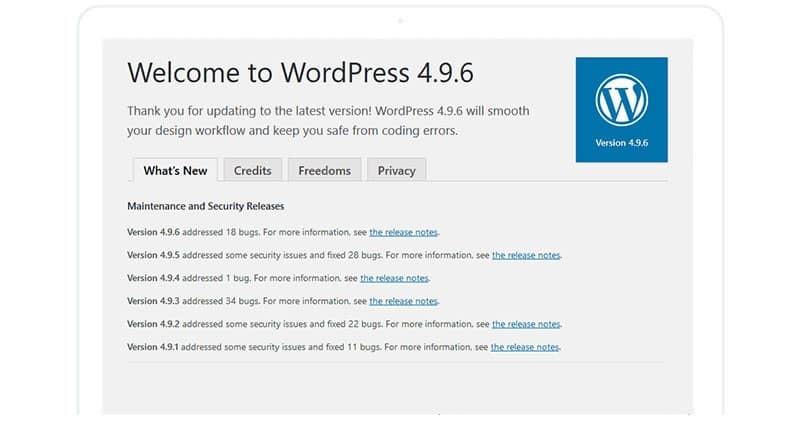 We made sure our plugin neatly integrates with the new WordPress Privacy Update. Non-functional plugins are required by GDPR to implement their privacy statements into their WordPress descriptions. We have implemented these descriptions into our wizard. Quick and easy! From 5.6 and above. We do not support lower PHP versions because of privacy related issues. WordPress’s new privacy feature of deleting and extracting personal data complements our plugin. The GDPR Complianz plugin does not collect or store personal data. Keeping up-to-date on privacy matters is key! Our database of cookies and their descriptions is growing every day to provide a better description for your visitors. We will update our plugin regularly to comply with legal changes and add new features to make being compliant a little bit easier. We are already working on great new features. Our 3.1 release will offer new placeholders, Google Fonts hosting and new types of consent. Do you have a great idea? Let us know! Questions during or after installation? We are always happy to assist you. If you are not satisfied with our product and the support team is unable to help in any way. Please check our refund policy. The free version comes with 1 language, based on your WordPress language settings. The premium version consists of 6 languages, English, Italian, German, Spanish, French & Dutch. With more languages coming soon. The language will be determined by the browser settings of the website visitor and has a default of your WordPress language settings.